Do you feel the need to add a [sic] or 10 to the above? Go on, knock yourself out. That, sadly, is fairly typical of what passes for a covering note (ah, how it sullies the term itself, for those nostalgics among us who remember properly-composed letters) accompanying a manuscript submitted for publication. Like an illiterate person turning up for a teacher job interview, the above is not exactly the best of visiting cards to propose one’s writing skills for publication. But there you have it, that’s the insane unjustified confidence levels that pass for the norm in 2017. Leap, eyes firmly closed, past that first obstacle, and you’re reading the manuscript itself. Coffee in one hand and red pen in the other, you settle into what you hope is the discovery of the new Philip Roth. We hear, very often, how Malta is “blessed with talent” and what a brilliant lot we are. Perhaps I’m just hanging out with the wrong crowd, but I find that we’re probably pretty much on the same average levels as other countries. We have, give or take a star or two, the same proportion of artistic geniuses to piffling writers. Yet the roughest circle of writing hell should be reserved, not so much for bad writers, as for good writers who cannot be bothered to edit their work. A good effort by a weak to average writer, I can fully respect. But an all-over-the-place manuscript by a good writer, that is unforgivable. And this is very much a Maltese malady. In literature as in the other arts, we romanticise the craft as something that’s put down on paper, instinctively, in a rash of divine inspiration. The literary elbow grease of editing – all the weeks and months and years of tweaking, chopping off, rewriting and refashioning of the text – is dismissed as not glamorous or interesting enough. Of course, the relative absence of the profession of literary editor does not help. But self-editing does not require a third party, yet that too is often lacking. I struggle to comprehend why the need for this should not be immediately evident, since the difference in output is glaring. I was recently doing a workshop with a Clare Azzopardi children’s text. Azzopardi is a perfect example of editing best practice: there isn’t a word in her manuscripts that’s out of place. Never a phrase dropped casually, or a stray preposition. Her paragraphs are intricately constructed towers of literary jenga, all the more special for her talent for making the building seem so effortless. Even the shortest of her stories take years to write and craft – her first novel, still to be submitted in its final form, has been years in the making. 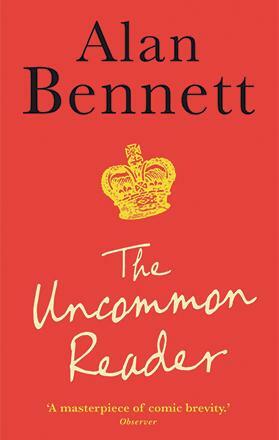 I was reminded of this crafting and editing recently when a friend gifted me a jewel of a book – Alan Bennett’s The Uncommon Reader. It’s a tiny volume, more of a long short story that can easily be read on a flight. And what a find it was! It’s perfectly crafted – brevity can bring out the mastery of a writer, as not one word is wasted. The premise of the book is as charming as it is simple… Queen Elizabeth II is walking, corgis yapping at her feet, in her gardens of Buckingham Palace when she happens on a travelling library. Imagine the librarians’ reaction when Her Majesty saunters in. More out of courtesy than anything else, she borrows a book practically at random. But she finds herself enjoying this unfamiliar experience of reading, and soon becomes a regular at the library, steadily moving on to more complex texts and acquiring a critical eye. This leads to a flutter of tensions in the sedate Palace life, as her courtiers first and politicians later – all the way up to the Prime Minister – are concerned that an opinionated, well-read Queen is upsetting the status quo. This seemingly light book delves into such thoughts as the uplifting nature of reading, and how books form and mould one’s opinions and perceptions. It also humorously drops in situations and feelings that all of us readers have, at some point, felt. Which book-lover cannot empathise with the following?